The amount of open data available right now can be dizzying and overwhelming. When looking through various data repositories and data marketplaces, I am trying to identify open data sets from various cities that may be of use to CityGrid developers. As I find data sets, that can add value to your web and mobile apps I will highlight here on the blog. 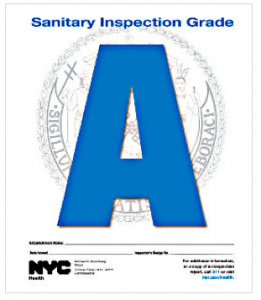 Today’s highlighted data set is from NYC Open Data, and provides a complete set of restaurant inspection results for New York City. When your users are looking for restaurants, while using your applications, it seems that knowing the restaurants latest inspection grade would be useful information in making a decision where to eat. At the moment CityGrid doesn’t include restaurant inspection grades in our places detail, but with open data sets like NYC restaurant inspection results you could download and link up by restaurant name and address, to augment the already rich business info and reviews you get from CityGrid APIs. I will be regularly highlighting other city data sets here, in hopes of providing quality data you can augment CityGrid places with, as well let our data acquisition team about new data you would like to see integrated with CityGrid places--so make sure and let me know when you find any of these useful, I will pass it on.